Shrink fitting is a process where a size change after assembly creates an interference fit. 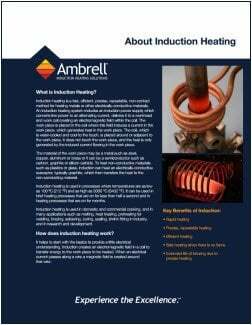 By heating or cooling one component prior to assembly and allowing it to return to the ambient temperature after assembly, the thermal expansion creates a joint. 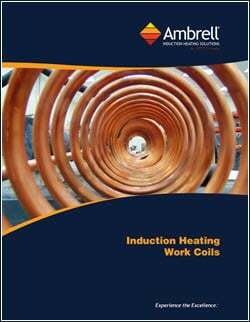 Shrink fitting with induction heating is ideal for your heating process, combining the precision, control, economics and safety inherent in the technology. Our Applications Laboratory, which offers free testing, has worked on this application numerous times, and you can read a number of application notes below. 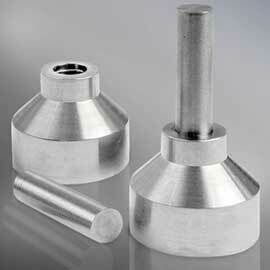 Check them out and be sure to contact us to discuss your shrink fitting application. Click to read how induction can improve the efficiency, effectiveness and safety of your shrink fitting process. Heating a camshaft gear with a bore size of 1.630" to shrink fit over a steel shaft that has a diameter of 1.632". A temperature of 500F is required for the gear to expand 0.002" in order to slip over the shaft. To heat an aluminum fuel pump housing measuring 8" x 4 1/2" x 3 1/2" to 375F, allowing steel parts to be inserted.